Now, pushing even further, they are doing a tour in October and November 2019 stopping in the UK that will be different from anything they have previously undertaken. 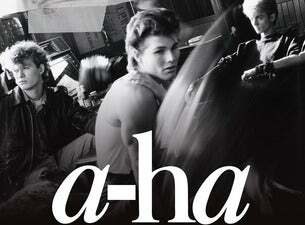 Magne Furuholmen, Morten Harket and Pål Waaktaar-Savoy will be performing in An Evening With format, with an interval. For the first half of the concert, they will play new and old, familiar and less-familiar songs. Then, after returning to the stage, they will play the 10 songs of their 1985 debut album Hunting High And Low in the running order of the original release. The tour is timed to celebrate the 35th anniversary of the release of the original version of Take On Me – issued in the UK on 19 October 1984 to reputed sales of just 300 copies. The re-recorded Take On Me was released in Britain during April 1985 to little fanfare, and in America that May where it hit big after its striking promotional video was seen on TV. It was reissued in the UK that September and, finally, the British hit came.